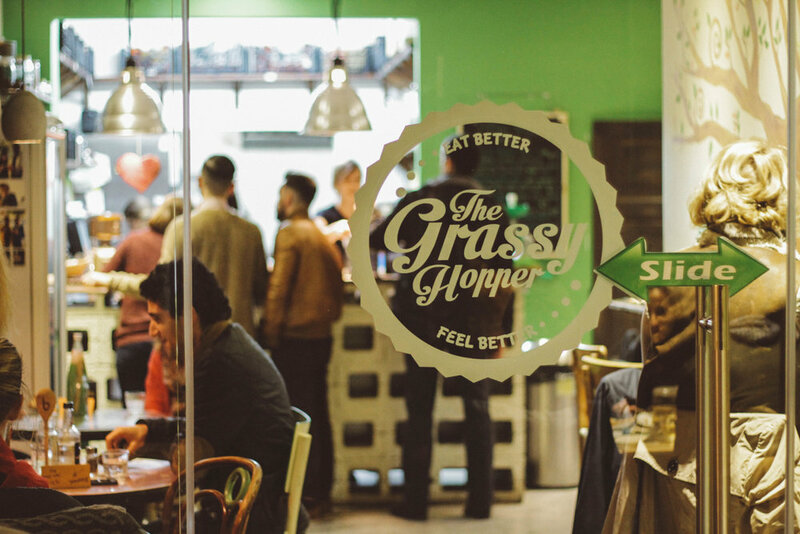 Once a week, on Wednesday evenings, the doors of The Grassy Hopper in Gzira open for dinner. Wednesday 25th of January was an evening with a twist: we hosted a charity dinner featuring Syrian and Middle-Eastern dishes to celebrate the culinary wonders from this region, but also to raise awareness about the ongoing war and violence, and the dangerous crossing many Syrians and other refugees make over land and sea to look for safety. We chose MOAS (Migrant Offshore Aid Station) as the beneficiary of the money raised during the evening. MOAS is a Malta based non-profit dedicated to preventing loss of life by providing professional search-and-rescue assistance to refugees and migrants in distress at sea. The menu featured different vegan highlights from Syrian and Middle-Eastern cuisine, such as Mujadara Lentil Stew, with cinnamon, smoked paprika and garlic, served with rice, bean salad and vegan mint cream, a Ras el Hanout Stew with carrots, pumpkin, aubergine, cauliflower and Middle-Eastern spices, served with quinoa and fresh mint, and Sweet pea Falafel, served with hummus and tabbouleh. We also served Shurbat Addes, a Syrian red lentil soup and Socca, homemade chickpea flatbread. 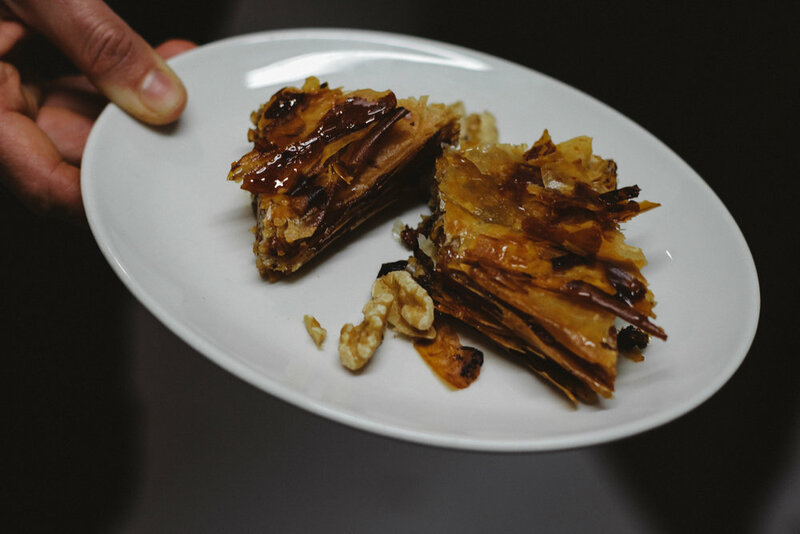 For dessert our healthy sweet shop Theobroma prepared a delectable vegan rose & pistachio cheesecake, and we also baked vegan baklava, made with filo pastry, walnuts, almonds, agave syrup, cinnamon and fresh lemon. To raise funds we held a raffle on the evening and had a donation box ready. 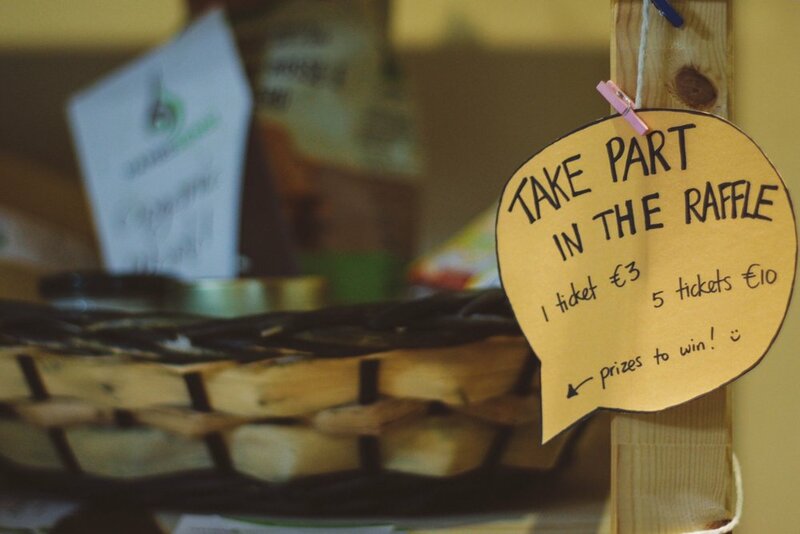 In total we raised over €300! Prizes included vouchers for Eco-Spa & Yoga Hub Sanya, a box of chocolates from Theobroma - A Raw Cacao Collective, vouchers for a free meal & smoothie or coffee & dessert at The Grassy Hopper, and goodie bags donated by our lovely suppliers CORE GREEN:Organic & Fairtrade, Flavours for Health and Hames Sensi - Organic World. A heartfelt thanks to our sponsors for their generous gifts. We were happily surprised by the great interest in the evening and want to thank everyone who attended for your support and contributions. Green Smoothie Challenge starts Monday! The Grassy Hopper Green Smoothie Challenge is back! We start this coming Monday 23rd January on this quest to live a more nourished life. The challenge is a simple commitment to have a Green Smoothie every day for 14 days… sign up to our mailing list to receive recipes, tips and motivation. Our intentions behind this challenge have not changed. We want to show you just how good you can feel by introducing this green drink into your diet. It’s a simple change with powerful effects. Our manifesto is all about eating to fuel a happy and fulfilled life, and this challenge is the most efficient way to get there. Get ready for more energy, improved hair, skin & nails, a clearer and more focused mind and just an overall boost! A green smoothie every morning sets your body up for a full powered day. The benefits are endless! It’s a super easy and delicious way to kick start your metabolism, alkalise your body & fill your body with the vitamins, minerals and antioxidants it needs to feel great! You can also add in a number of superfoods if you want that extra special kick! The passion and commitment that we can bring to our lives is proportionate to the fuel we put into our body so this challenge is not just about the physical effects but also about getting closer to your highest potentials. You can buy your green smoothies from either of our outlets at a reduced price over this period or you can make your own at home. We will give you recipe ideas and would also love to hear yours. We encourage you to continue the challenge on your own after the two weeks are up and are sure that once you experience how good you can feel, you will ! Here’s to a more nourished life! Sign up with your email address to be supported with recipes, tips and inspiration! Can you believe we’re only a month away from Christmas? That means it’s time to start thinking about presents! Why not give your family and friends a selection of healthy and nourishing gifts this year? We create classic Christmas sweets with a healthy twist, that are also beautiful and delicious, and in our hampers also include a range of other homemade products from The Grassy Hopper and our raw chocolate shop Theobroma, such as homemade granola and nut butters. New this year are the inclusion of gift vouchers to our freshly opened eco-spa and wellness centre Sanya, such as vouchers for a massage, yoga class or a day pass for the spa. This year’s healthy Christmas sweets include our homemade Christmas Log, Mince Pies and Baci Balls, all hand crafted with quality ingredients, such as raw cacao, coconut oil, cacao butter, nuts and dried fruits. All sweets are vegan and gluten-free* and are free from processed sugar, instead they are sweetened with dates and other dried fruits, coconut sugar and/or agave syrup. Christmas logs retail at €21, mince pies at €2 and baci balls at €2. At our outlets all sweets, including Christmas log slices (€2) are also available to enjoy with a warming cup of tea, coffee or hot chocolate. To place your order, either visit one of our outlets in Gzira or Valletta, or send us your order by e-mail to info@thegrassyhopper.com and mention what you would like to order, the date you would like to pick up your hamper and your contact details. Hampers can be picked up any day we are open between the 1st and 24th December, with a minimum of two days from order day to pick up, and the last order on 22 December. Packages can either be purchased directly from our outlets or ordered and picked up on an agreed day. We’re looking forward to celebrate Christmas with you this year and provide you with healthy sweets & presents during this indulgent month. *Christmas logs, mince pies and baci balls are gluten-free and prepared in a gluten-free environment (at our gluten-free raw chocolate shop Theobroma). However, since hampers are packed at The Grassy Hopper outlet, please advise us in case you are coeliac so we take extra care to avoid cross-contamination at The Grassy Hopper. The granola offered in some of the hampers is not gluten-free, but we can arrange a gluten-free substitute for the hampers containing granola if requested. We are so happy to be able to share with you the first episode of our new podcast. This Podcast is our space to explore further what it means to live a healthy life. The Grassy Hopper is not just about food. Food is a big part of it, but as you can read in our Manifesto, we also feel that living a healthy and fulfilling life has many other aspects to it. On this Podcast Yasmin interviews people who have an inspiring perspective or life experience to share. The interview will cover a vast range of topics, and often food might not even get mentioned, the common thread is a reflective view on life and how we can be more happy and fulfilled. Our first episode welcomes David Zammit who is an adventurer, blogger and photographer, who left the corporate world behing to travel the world. His adventures include an epic 4,000km cycle, alone across the Australian continent. This conversation does into why Dave made certain choices and the impact of his adventures on his life view. If you enjoy the interview, please send us your comments and recommendations of more inspirational stories that need to be told. Massive thanks to Monochrome Keys Music Studio for producing the track. Check out the website for one of the most passionate and awesome musicians we know. Guaranteed quality tuition and workshops! We are looking for Chefs to join our team! Experience in this particular type of cuisine is not essential but general kitchen experience would be a great help. We encourage freedom and creativity in the workplace but are looking for people who have the responsibility and self-motivation to thrive in such a system. At the Grassy Hopper we provide a working environment that is based on principles of conscious business; Integrity, Responsibility, Communication, Humility, Emotional Maturity - an environment that makes work meaningful and fulfilling. Whilst we look for technical skills in our potential team members we also look for the interior skills that are required for a workplace to operate harmoniously. "Can we create organizations free of the pathologies that show up all too often in the workplace? Free of politics, bureaucracy, and infighting; free of stress and burnout; free of resignation, resentment, and apathy; free of the posturing at the top and the drudgery at the bottom? Is it possible to reinvent organizations, to devise a new model that makes work productive, fulfilling, and meaningful? Can we create soulful workplaces―schools, hospitals, businesses, and non profits―where our talents can blossom and our callings can be honoured?"